While vaccinations for pets — like those for humans — have become increasingly controversial, the truth is that certain vaccines are absolutely necessary for your dog or cat’s health and well-being. They may also be required for your pet to be boarded at a kennel or be taken care of by a pet sitter. So which vaccinations should your pet be receiving? It depends on a number of factors, such as where you live and how much time your pet spends outdoors. Here are a list of the pet vaccinations you should know about to keep your beloved pooch or feline as healthy as possible. When it comes to rabies, prevention is the only option. Rabies is usually fatal to dogs and cats who contract it, and it isn’t always possible to prevent a bite from an infected animal. Because rabies can easily be spread, it is a significant public health concern. For this reason, many states require both cats and dogs to be vaccinated against rabies. This vaccine is considered a core vaccine for pets. For dogs, there are two options for the rabies vaccine: a one year dose and a three year dose. The one year dose can be administered to a puppy as young as three months, with a booster shot after one year. After that, your dog can move to a schedule of receiving a rabies shot every three years. Check with your veterinarian to determine how old your dog must be to get the three year dosage. For cats, the first vaccine can be administered when they are 3 months old. After the initial vaccination, a booster shot should be given at one year. After that, your cat can get a vaccine every three years, just like dogs. There are two types of distemper: canine distemper and feline distemper. Both are extremely contagious viral diseases, related to the virus that causes measles. 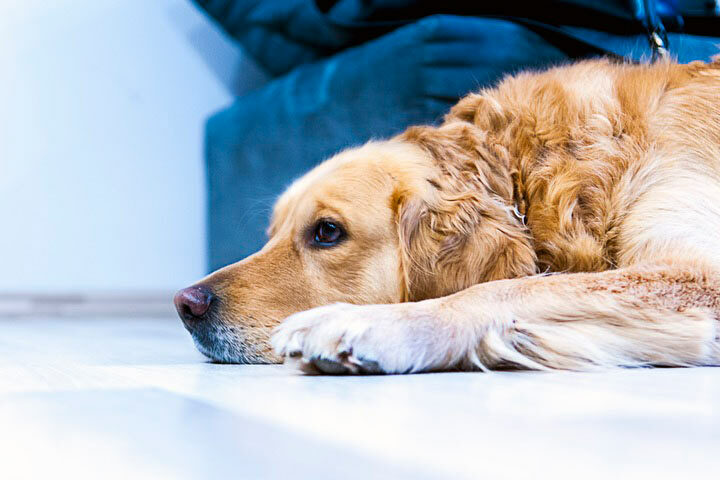 Distemper spreads through the air, and it can attack your pet’s body, causing a variety of symptoms such as runny nose, lack of appetite, vomiting, seizures and even paralysis. There is no cure for canine distemper, although some dogs do recover. Feline distemper is also known as panleukopenia, and it can be fatal to cats. This vaccine is considered a core vaccine, given the ease with which distemper can spread and the serious and potentially deadly nature of the disease. For dogs, the distemper vaccine is given as part of a combination vaccine at 6, 9, 12 and 15 weeks. Your dog will receive an annual booster at one year old and every year after. Cats will receive the first vaccine as young as 6 weeks of age, and then get an additional shot every 3 or 4 weeks until they are 16 weeks old. They will then receive a yearly booster. Core vaccines are those that are considered critical to your pet’s health. In some states, these vaccines may be required by law. In addition to rabies and distemper for both dogs and cats, there are several other core vaccines that your pet should receive. Dogs should receive vaccinations against hepatitis, parvovirus and parainfluenza. These vaccines are administered in combination with distemper to young puppies in a shot known DHPP. Cats should receive a number of vaccines as well, including the FVRCP vaccine, which protects against Feline Viral Rhinotracheitis, Calicivirus and Distemper, also known as Panleukopenia) and the Feline Leukemia Virus (FELV) vaccine. These shots should be a part of every pet owners’ plan to protect their dog or cat’s health and well-being. In addition to the core vaccines, your dog may also benefit from vaccinations that address specific concerns based on where you live and your dog’s exposure to certain environmental factors. If you live in an area with lots of ticks and your dog spends time outdoors or in the woods, consider getting a vaccine for Lyme Disease for your dog. If ticks are not a concern, but you live in an area known for rattlesnakes, you should consider a rattlesnake vaccine. Anyone who boards their dogs may want (or be required) to get a bordetella vaccine for their dogs. Bordetella is also known as kennel cough and it can lead to severe respiratory symptoms, including coughing and even pneumonia. You should also talk to your veterinarian about the leptospirosis vaccine. This infection is spread through infected urine, and it can be fatal if it is present. Because infection rates of this virus have dropped, most vets only recommend getting this vaccine if there is a local outbreak. Every cat owner should make sure that their kitty gets the core vaccines to protect them from the most common and fatal types of infections. You may also want to consider additional vaccines for your cat, such as the feline immunodeficiency virus (the feline version of HIV), virulent calicivirus Vaccine (a rare disease that does not spread easily), feline chlamydia felis Vaccine (for cats who come into contact with other cats who may have this disease) and Feline bordetella bronchiseptica vaccine (for young cats living in large, multiple cat environments). Keeping your pet safe is one of your responsibilities as a pet owner. Talk to your veterinarian today to learn more about the best vaccines for your dog or cat. Contact Paw Pals Pet Sitting today.